The change was prompted by an atheist airman at Creech Air Force Base in Nevada, who crossed out the words on his Department of Defense reenlistment documents. The previous policy had required that the four words be included, so the case was shuttled to the Department of Defense General Counsel, which ruled the airman was permitted to cross out the words. Secretary of the Air Force Deborah Lee James stated, “We take any instance in which airmen report concerns regarding religious freedom seriously. We are making the appropriate adjustments to ensure our airmen’s rights are protected.” The airman was a technical sergeant who was not an atheist in 2003 when he enlisted, but became an atheist later, according to attorney Monica Miller of the American Humanist Association. Miller intoned, “It was important from the standpoint of honesty. He can’t take an oath for a God he doesn’t believe in.” She claimed the airman requested anonymity because he feared the response for his action. Initially, the airman’s unit could not process the documents because of the prior policy against omissions, according to military officials. Miller alleged that commanders told the airman that he had to swear to God or leave the Air Force. 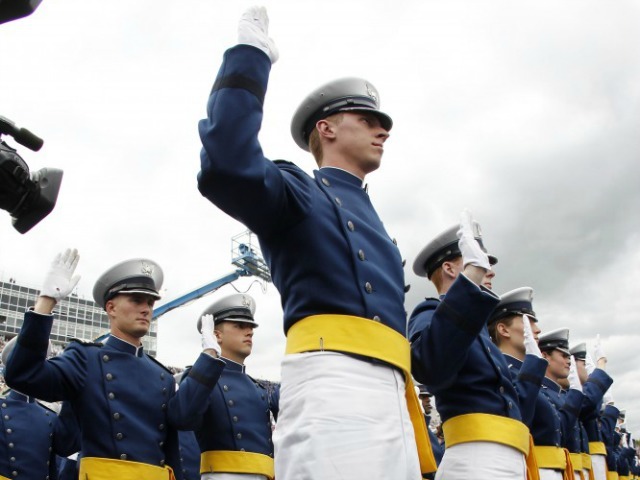 The American Humanist Association then wrote the Air Force threatening to sue if the airman couldn’t proceed with his reenlistment and leave out “so help me God” by Sept. 19.